I don’t remember what I did at 10 o’clock in the morning. But I remember the afternoon. That’s when my little TV in my little dorm room was turned on because I had received a very odd text from a friend, and it wasn’t even April 1st. It felt like April 1st, a very cruel Fool’s Day. But it wasn’t, it was 9/11, and from that day it became an expression, no need for explanation, it was just 9/11. I don’t remember what I did at 10 o’clock the next morning, but I do remember the afternoon past. 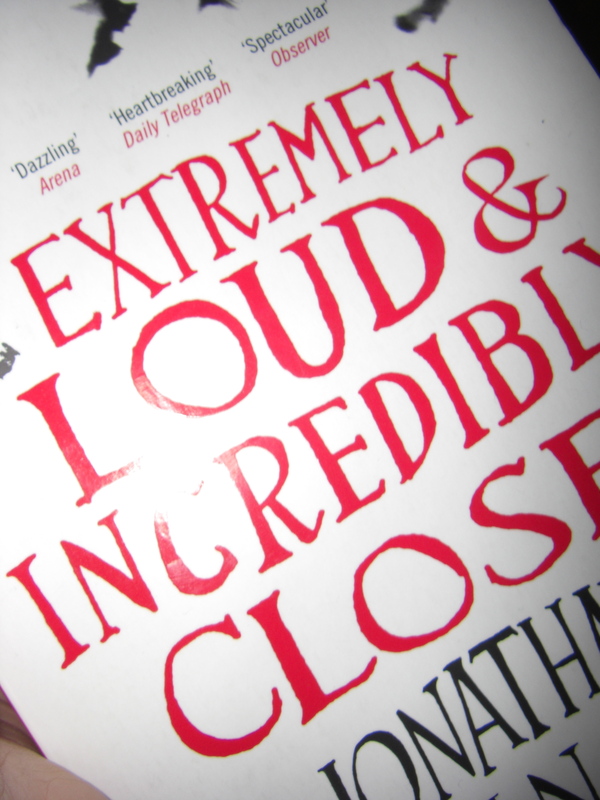 The reason I have gone back to this date is because I have just finished reading Jonathan Safran Foer’s ‘Extremely Loud and Incredibly Close’. I got it after reading ‘Everything is Illuminated’, because Foer’s style of and topic really hit home with me. And I was not disappointed. I was thoroughly plowing through a child’s universe filled with sorrow and a silver lining. Center to the story is the little boy Oscar, a little boy who feels everything, incredibly and extremely. 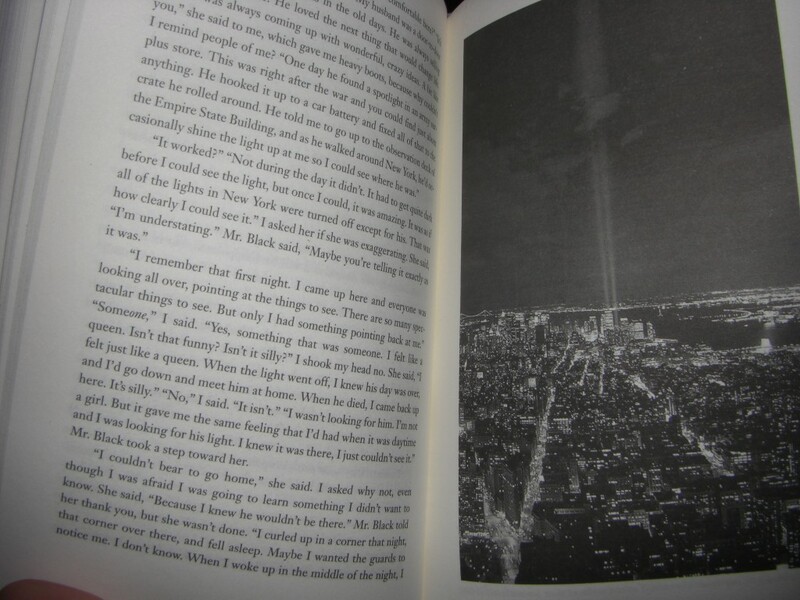 The loss of his father in the 9/11 attacks on the Twin Towers sends him on a scavenger hunt around New York in search of answers; answers that can tell him how his father died, what he should do, how he should react, who he is. His special bond with his father is severed and the need to find a way to process a reality that does not even seem real takes over. The traumatic loss is omnipresent in everything he thinks and does, and pervades every single page of Foer’s 355 pages novel. Everyone Oscar is in contact with is seen through the lens of loss and solitude. But he has his imagination and determination, which works both for and against him, it drives him towards seeking answers. It makes me incredibly angry that people all over the world can know things that I can’t, because it happened here, and happened to me, so shouldn’t it be mine? The novel works in circular patterns. The processing of the 9/11 trauma is underlined by a trauma of 20th century Europe: WWII and the bombings of Dresden. Oscar’s father ‘leaves’ him and his father left him before that. I get the feeling that everything works in weird, not necessarily connected but none the less, thoughtful patterns. You find yourself wishing that everything is connected in the great cosmos of life, regardless of time, space and human interference. But Oscar’s experience is not the only thing that forms the novel. 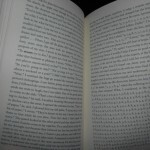 Foer has used a lot of techniques that make the novel more than a traditional “read letters = understand meaning” type of novel. 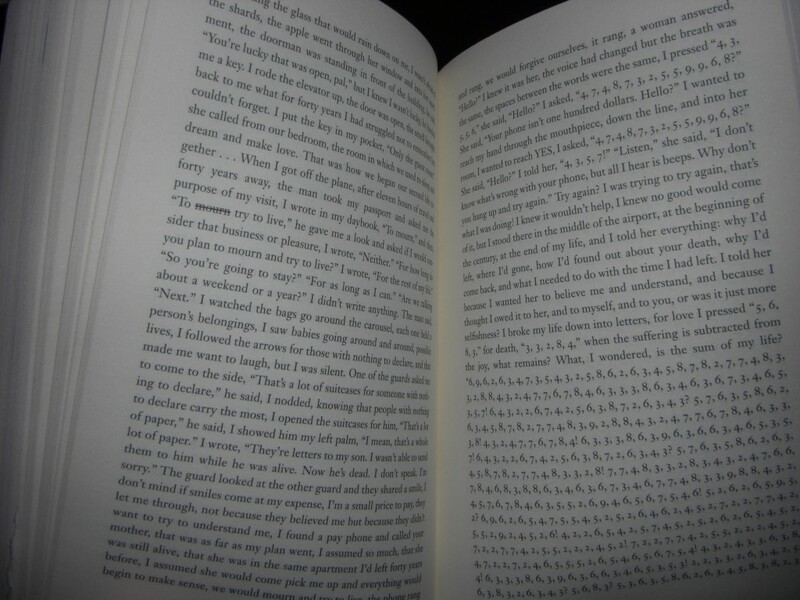 There are pages that are filled with red ink circling random letters (a reference to how Oscar’s father spellchecks the New York Times), pages that are empty save for one lone sentence (as Oscar’s grandfather is incapable of speech, cause unknown, and communicates with “yes” and “no” tattoo’s on his hands or by writing everything down wherever he can), and pictures of some of Oscar’s different impressions. This is, in my opinion, both good and bad, because there is a lot of it going on in the book, and you need to see it both as part of, but also separate from the rest (if that makes sense at all 🙂 ). 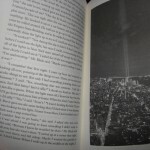 Foer’s style is secure enough in itself without all these gadgets, but it does add a little extra when you can reverse 9/11 at the end, and make a man fly upwards rather than falling down towards the ground, simply by flipping the last 10 pages. LEGG HANA EFTIR! Eg vil lesa.